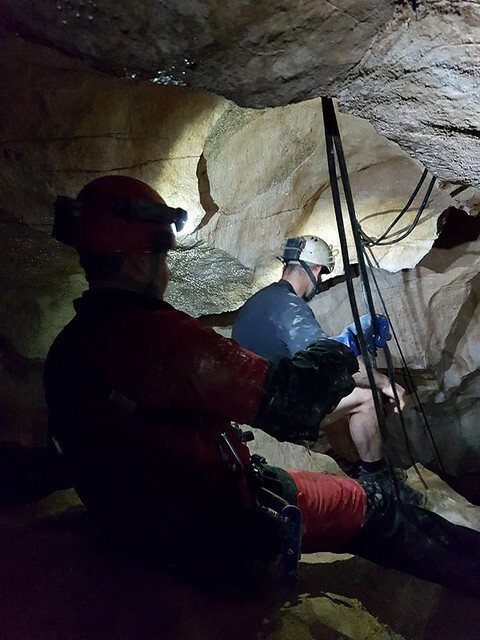 Every year a small contingent of CDG cavers (2-4) head out to Spain trying to discover new cave passage; 2018 will be no exception. The goals are rather numerous and currently rather spread out. Currently there are 4 caves on the definite agenda, with the possibility of a further two preplanned, plus whatever we get directed towards by local cavers whilst out there. The following are 3 of my favourites on the definite agenda. 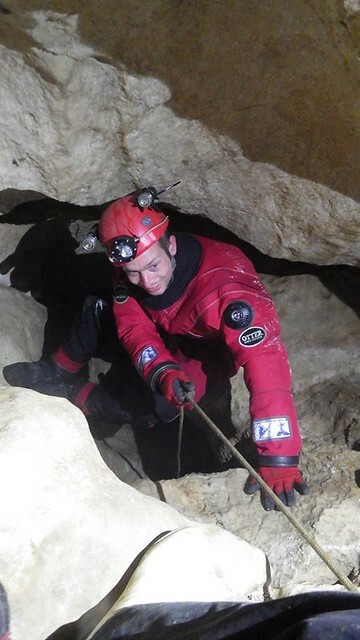 It is worth noting the support off local Spanish cavers and divers during these expeditions is absolutely unparalleled. Several have also joined the CDG as a result of their long involvement in these projects. 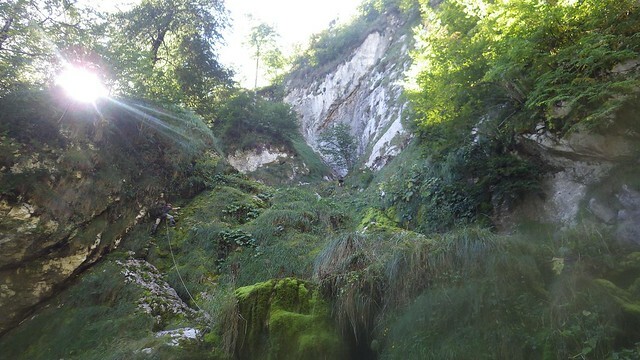 A major resurgence, situated halfway up a cliff face, in the Casano Gorge which is the source of the Rio Casano. In 2011 a dye trace was conducted from a cave near Las Barrastrosas. 7.5km away and with over 1000m higher! Explored by OUCC before 1985 they managed to push it to discover a bypassable sump 1 to a non-bypassable sump 2 after approximately 200m. The CDG started to take an interest in this site around 1985 and there have been expeditions in 1986, 2000, 2001, 2011, 2012, 2014 and 2016. The last expedition in 2016 was carried out by Jason Mallinson, Emma Heron, Rich Hudson and Ash Hiscock. The expedition was rather taxing on all involved, especially as one of the team members was 6 months pregnant at the time! 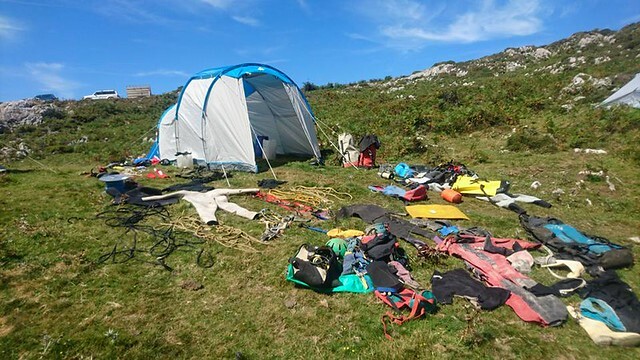 We did get one day of support from a two local cavers/divers, as well as from the local shepherd, Nel. What follows is quite a rambling report about the 2016 expedition. 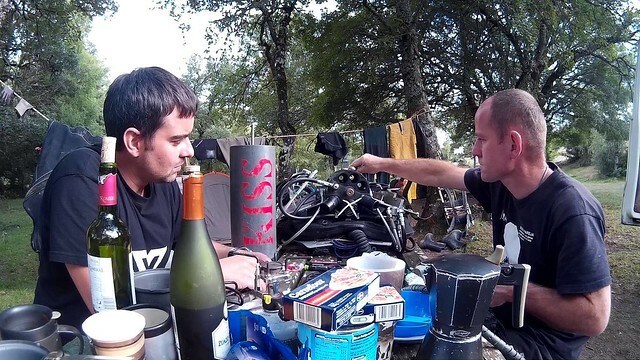 During the expedition members camp on the top of the valley, which poses a few problems with food (protecting it from the local cows, sheep, goats, and the dogs that protect the former from wolves), electricity for charging diving lights, filling cylinders away from power supplies, and water (the nearest source being the cave itself). The expedition normally starts with preparing the route down to the cave. 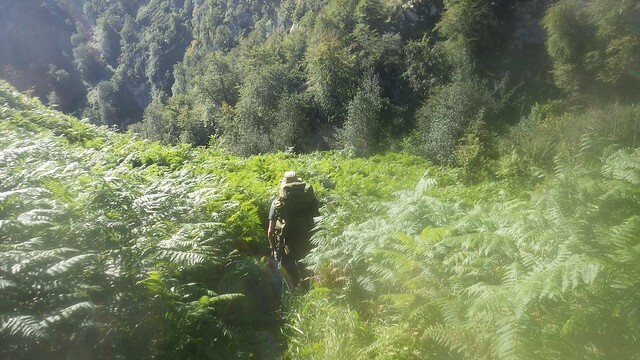 This is a approximately a 2 mile walk with 600m of descent between start and finish, but more in reality as you hop across several smaller ridges and valleys on the route. There is no path so some time must be dedicated to cutting down bush and thick ferns as well as cutting steps into the steepest muddy sections to ensure later trips carrying the heavy gear aren't as difficult as they could be. Once the route is prepared the cave can start to be stocked. The climb up to the cave entrance needs to be rigged, being quite a long meandering climb over mossy rock. All in all maybe 100m of rope is required for this 30m climb but it saves so much time as by making it meandering we can simply free climb and clip in with cows tails for protection, which is faster with the heavy bags and allows multiple people to climb to the entrance at once. Once at the entrance participants tend to change into a drysuit to deal with the 5 degree water in the diving to come, before traversing around a sump pool on 30m of tensioned rope before climbing up a small roped free climb. Here the gear is attached to a tyrolean to be hauled up an awkward, rifty, pitch whilst team members freeclimb in a small chimney round to the side of the pitch. A hundred metres or so of walking with one small safety lined traverse leads to sump 2 (sump 1 having already been bypassed). Sump 2 is a rather quick affair, being a large, clear sump approximately 100m long and -5m deep. 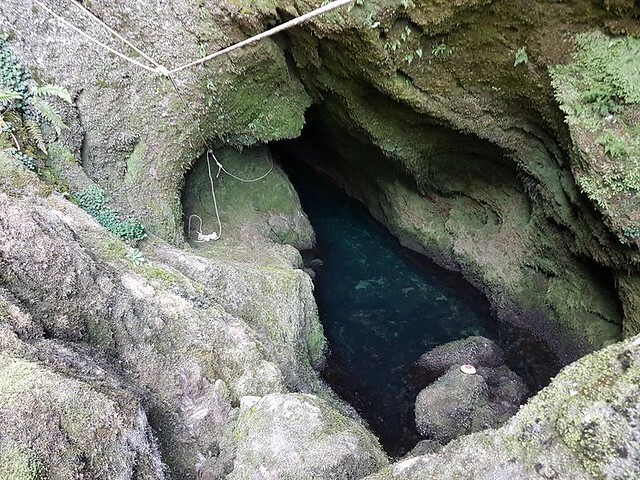 Once you surface there is approximately 20m of caving along a small ledge above a pool before you reach a small waterfall on the left. 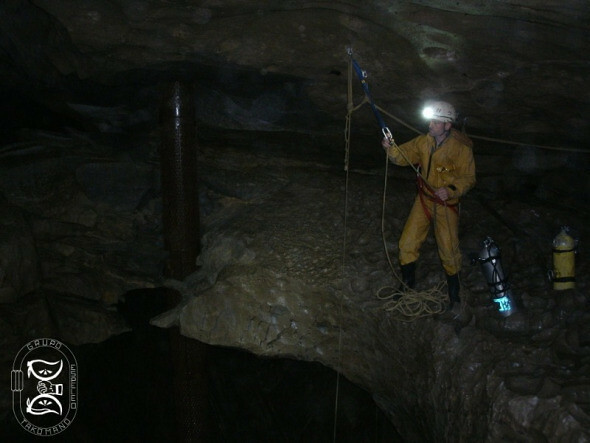 We set up another tyrolean here to allow gear to be lifted up the climb, whilst members climb up a caving ladder to the side of the waterfall. This climb immediately lands you in the sump 3 pool. Sump 3 is a large u-bend essentially, dipping down to -36m before surfacing again after 160m. There is a junction in the third sump that provides access to more dry passage with some pretties, a pitch, and allows divers to cut off some distance and difficulty from the sump 4 dive. Unfortunately, I did not get to visit this passage on my last visit due to time constraints so I'll continue to describe the route I take. Once surfacing after sump 3 there is a 50m section of streamway with very large pots in the floor to negotiate before arriving at sump 4. Sump 4 is a little bit bouncy, dipping down to -24, up to -6, down to -25, up to -9 and then back down to -15 in the first 100m. In reward for bouncing around the cave then rewards us with approximately 150m of level passage at -15 before dipping quickly down to -30 before surfacing after a total of 280m. Whilst surfacing the cave gets much tighter, giving us a taste of what is about to come. Just before the final dip down to -30 it's possible to surface in an aven which was freeclimbed in 2012 to approximately 30m above water level and in 2016 to approximately 40m above water level. Once surfacing after sump 4 there's a shuffle along a tight rift for 40m before the 5m long sump 5. Then there is about 120m of tight, sharp, caving along to sump 6, which is 50m long and tight with terrible visibility. The 2016 push day saw JM in sump 7 pushing the sump down to a total depth of 65m at what felt like the elbow of a sump with a rising rift being seen ahead, whilst AH freeclimbed the avens in the chamber after sump 6 before the terrain got too technical. EH and RH explored a tight upstream dry passage near the entrance which lead to a sump which was dived by JM for approximately 15m to a shaft heading downwards. 1. Get either one or two divers into sump 7 with technical diving equipment to continue pushing what we believe to be the main way on. 4. Have another look up the aven in the airbell in sump 4. Currently we have 4 expedition members confirmed but are looking for more! During the 2016 expedition the local shepherd, Nel, took us to check out several caves he knew of. One of the caves turned out to be a small, collapsing mine he matured his goat cheese in. A small dig did not yield any excitement so we left, before being unable to locate the second cave he knew of. However, the third cave was a goer. Some time after dark at the end of a very long day, we dropped a 30m rope down the shaft belayed to a few trees. JM descended the rope before reascending saying there was not enough rope to reach the bottom. RH ran back to camp to go and fetch some longer ropes. This shaft was quickly re-rigged with a 50m rope which *just* reached the bottom of the shaft with one rebelay on a small, sloping, ledge near the bottom. This lands you in a chamber approximately 5x5m with a few small oxbow crawls leading off and a very tight, approximately 1m long rift. A few stones were thrown through this rift which didn't hit anything for at least a second or two. The 2018 expedition is very excited to revisit this cave to enlarge that rift a little and have a look at the further shafts beyond. This cave is the main resurgence for over 30km2 of karst region. It is the known resurgence for Hayal de Ponata (which was also dived by our 2017 expedition), a 75km system several km away. The cave has always been a subject of local interests, with reports going back to 1849. 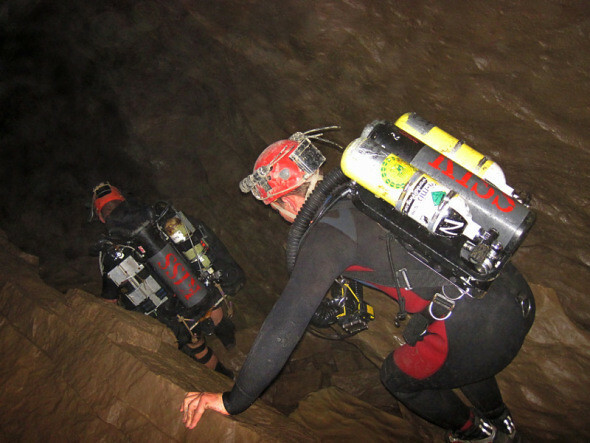 Serious exploration was started in 1955 by a Spanish caving club called Edelweiss Speleological Group. Diving activities started in earnest in 1995 by local cave divers and continued until 2003. The cave at this point involved a small wriggle through boulders at the start followed by a loose climb down boulders before finding yourself at a large lake, approximately 30x30m, which must be passed. Once passed the lake the cave turns into large phreatic passage with several very large boulders on the floor. After following the passage for approximately 500m you find yourself at massive phreatic pot about 5x5m descending straight downwards. The height of this pitch depends upon the level of the water inside the shaft but normally it is about 20m. Then the shaft descends directly to -55m underwater (again, depending on water levels) and this had been explored for 375m at an average of about -50m by the local teams. large streamway whilst bypassing many different side passages. We attempted to revisit the cave in 2017 but unfortunately bad conditions inside the cave after recent floods prohibited use of certain diving techniques that make this kind of deep and long diving possible. The current end of JMs exploration is approximately 3km from the end of the Hayal de Ponata system. 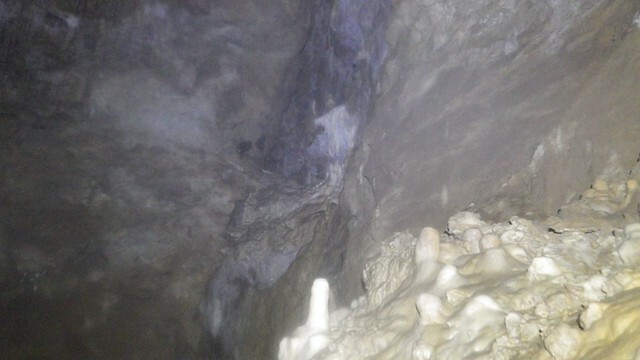 A long term goal of this project is to connect Hayal de Ponata to Cueva del Agua. I know a 20m pitch does not sound like a lot of rope is required. But once you add up a rope for divers to ascend and descend on, another rope for the support team to descend on to help the divers gear up floating midwater with lots of technical equipment, a washing line across the sump pool to hang the huge amount of equipment on, a hauling line and safety ropes around the top of the shaft all soon add up! 3 Likes Badlad, Pegasus and Ian Ball like this. The walk down to Oyu La Madre, 2016...one of the nice bits. The climb up to the entrance, Oyu La Madre, 2016...you can see multiple climbers on at once in this picture if you look really hard. As well as all these bad photos (well, the ones I took anyway), I have a bad video I made from Oyu La Madre in 2016 too. Some great leads there and you get to swim too. What's not to like. Good luck getting more numbers.